Installing a cloakroom or downstairs bathroom in your home is a great idea. The extra bathroom will add value to the price of your house and it's handy to have another toilet in your home, especially when you have visitors round. The challenge with cloakroom bathrooms is how to make your small space a practical yet inviting room. In this expert guide from Victorian Plumbing we will take a look at 10 cloakroom bathroom ideas that will give you plenty of styles and examples to use in your own home. When space is at a premium: you simply cannot afford to waste the space being taken up in the corners of your cloakroom. 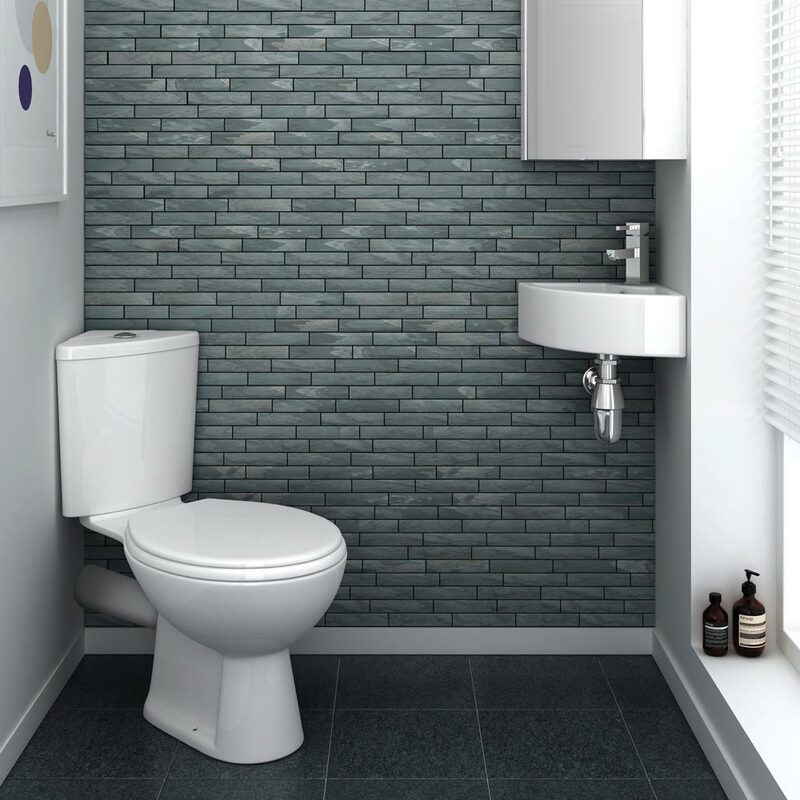 Both corner toilets and corner basins are a great way of opening up the footprint in your small room. 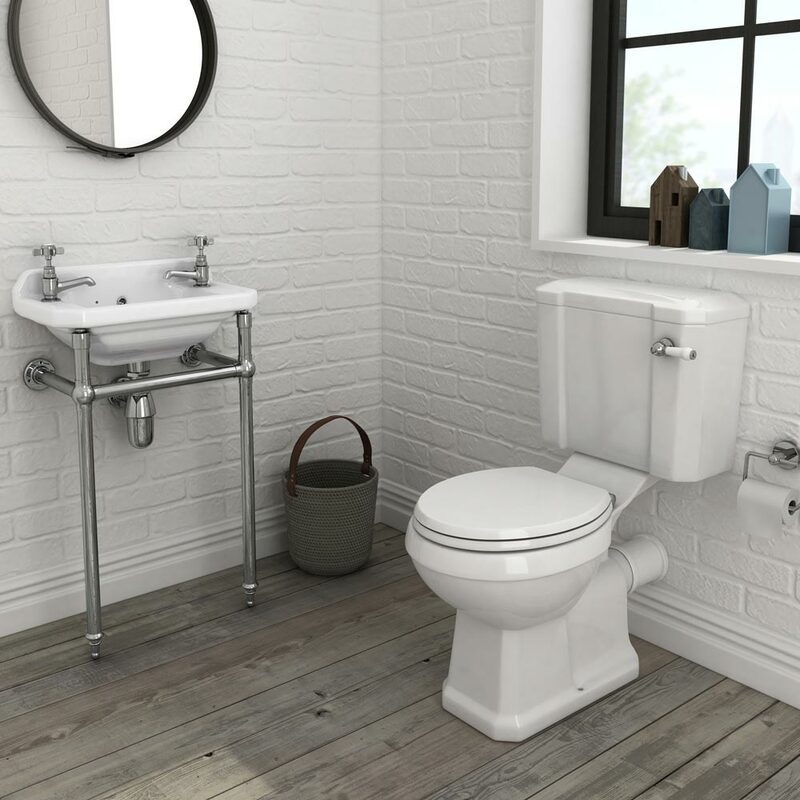 Either pick out an individual toilet and basin that you feel matches the look of your design or alternatively let us do all the hard work for you and go for a complete cloakroom bathroom suite. A sure-fire way of making your cloakroom bathroom feel less cluttered is to take as many bathroom fixtures off the floor as you possibly can. 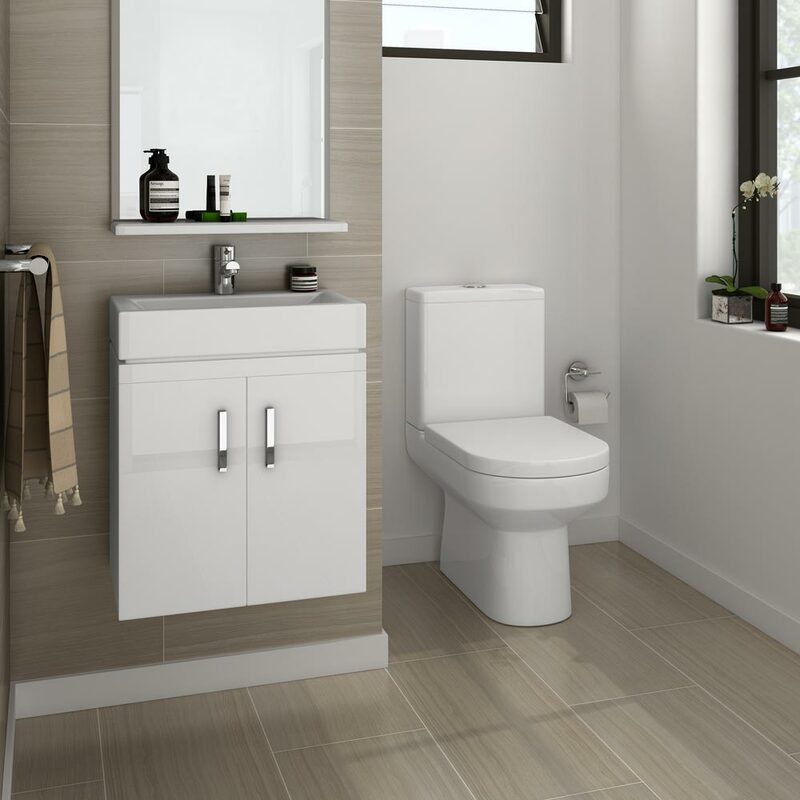 Wall hung bathroom fixtures, like wall hung toilets and wall hung vanity units, are nice space saving ideas that are perhaps more cost effective than you might have originally thought. Bathroom fixtures with shallower profiles are the key to making sure there is plenty of room to manoeuvre around your small bathroom. Short projection vanity units are a cute solution as they don't stick out as much as standard sized units. One drawback however is that slimline vanity units don't leave much space for a standard size tap; which leads me nicely on to our next point. You may not have known this but you can now buy taps specifically designed to go in your cloakroom bathroom. 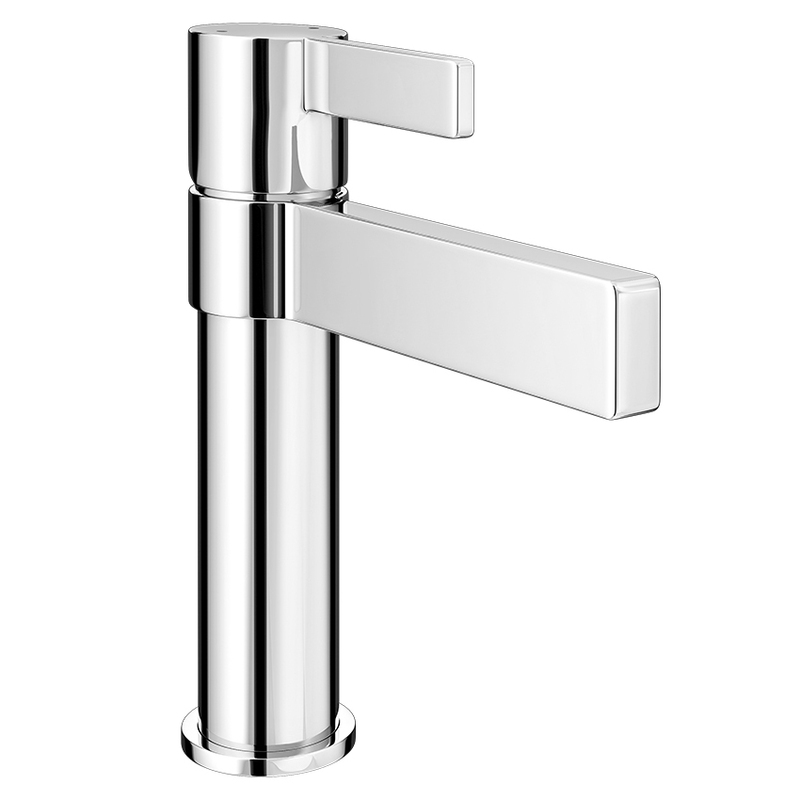 Cloakroom taps are smaller and designed with a shorter profile than standard sized taps. 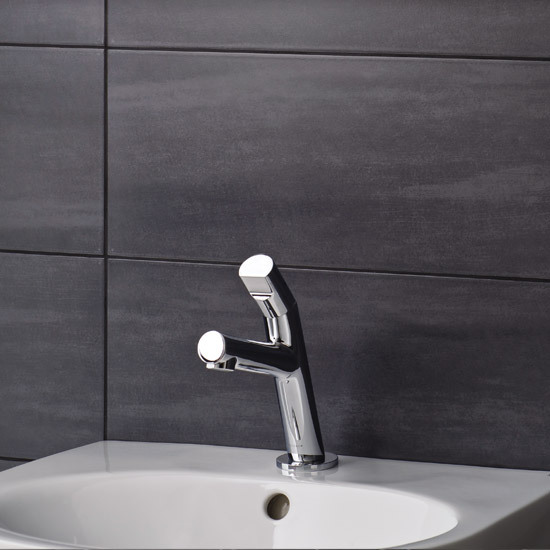 There are lots of styles to choose from but one that's caught the eye of lots of Victorian Plumbing customers recently is the Piccolo mono basin mixer tap, featured above. 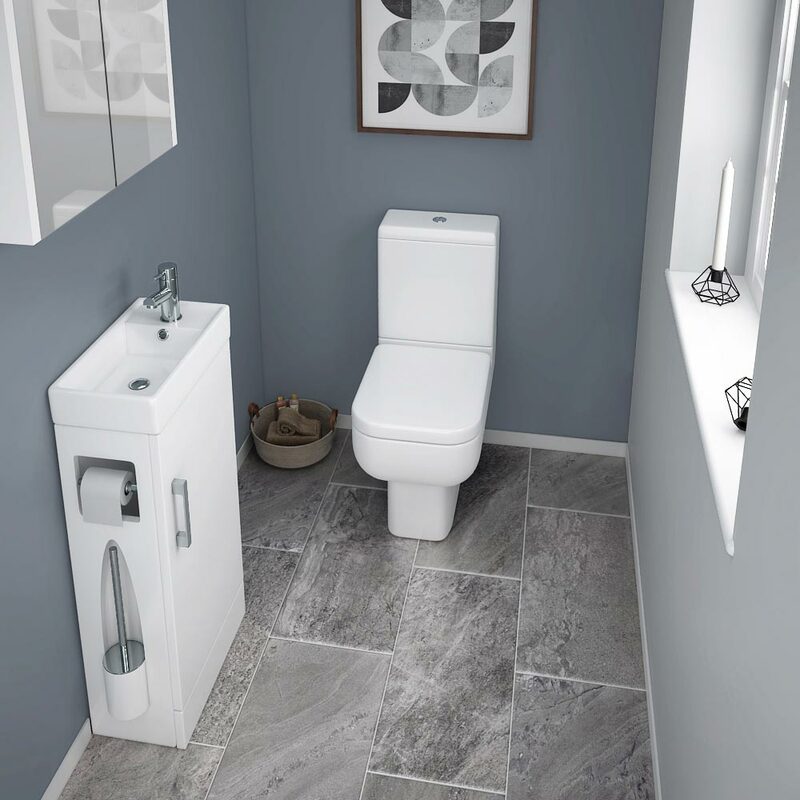 Combination units are a great way to save space and add style in your under stairs toilet or cloakroom bathroom. 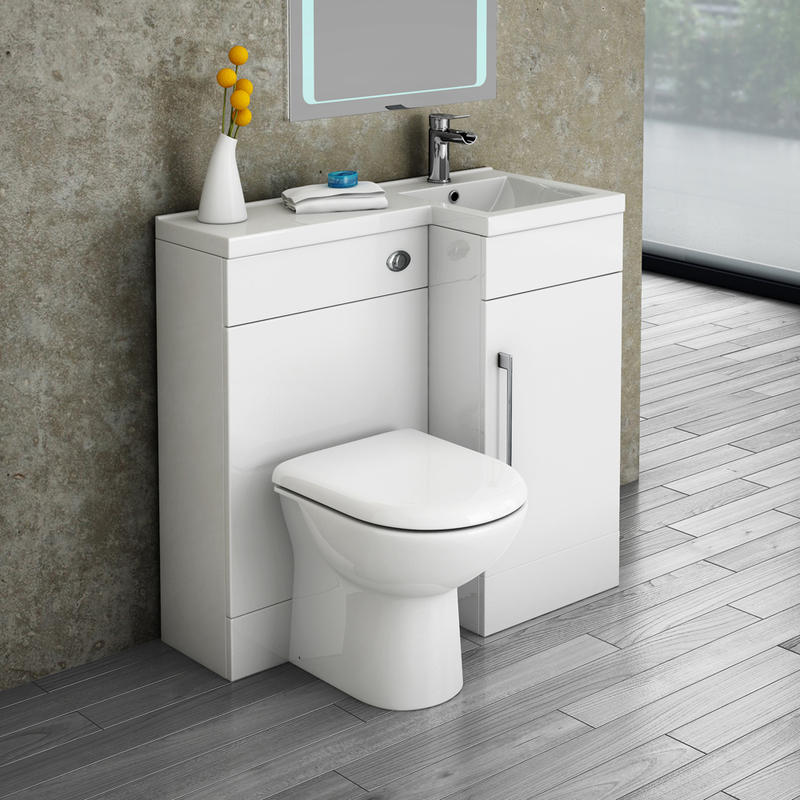 Either go for a toilet + basin + vanity unit combination or if you are really pushed for space, why not take a look at a two-in-one toilet and basin combination unit. One other combination that's worth mentioning is a mirrored cabinet; especially useful if you haven't got any other storage options open to you. Heated towel rails work nicely in cloakroom bathrooms. Try and find a slimline version that won't take up too much space on your bathroom wall. 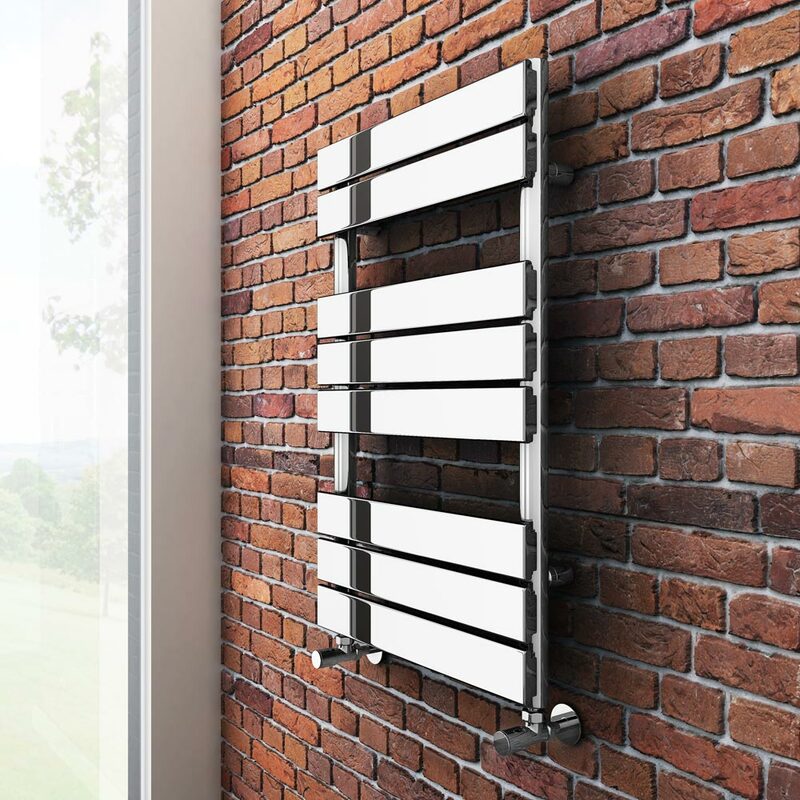 Use the filter options when browsing heated towel rails on the Victorian Plumbing website to narrow down your search for a slimline unit. Less is more when it comes to styling your small bathroom. You don't want to over do it but at the same time you want your bathroom to show off your own personal style and individuality. Why not try colour coordinating your bathroom accessories with the colour of your toilet seat? 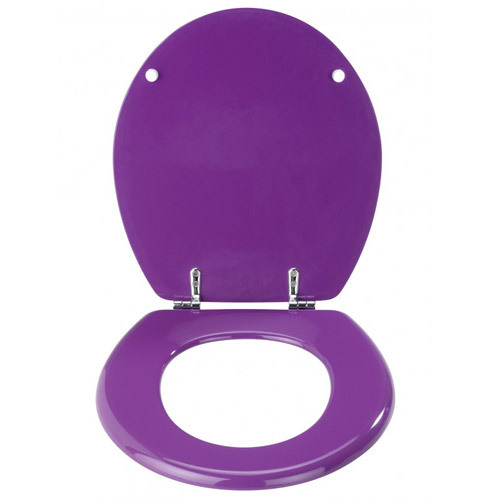 Toilet seats are available in a multitude of colours and replacing your toilet seat is a relatively simple task that anyone can do themselves. Cloakroom and under stairs bathrooms don't always have windows so ventilation can be a problem. 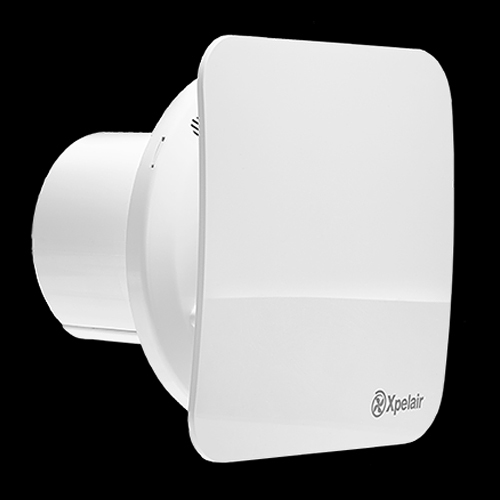 Adding an extractor fan is the solution but the problem you've got is that extractor fans can be very noisy which isn't great in a small area. The answer? A super quiet extractor fan that will leave your bathroom as fresh as a daisy and with the minimal amount of noise and disruption. This is a bathroom hack that plays tricks on your eyes; use larger bathroom wall and floor tiles to make your small bathroom appear visually larger. Look out for this trick as it's more common than you might think. Another trick is to use exactly the same tile for both your floor and walls. This serves to make the room look continual and thus appear bigger. One cloakroom bathroom idea you shouldn't discount is the idea of choosing a more traditionally styled room. The traditional style is a hot bathroom design trend that takes its inspiration from bathrooms of the past. This style can work beautifully even in more modern homes so why not take a look at our selection of traditionally styled cloakroom suites and see if anything catches your eye. I hope our cloakroom bathroom guide has given you some helpful ideas to use in your own home. Designing a small bathroom can definitely be challenge so we wish you the best of luck with your design. For more small bathroom ideas and inspiration, why not join our thriving communities on Pinterest, Facebook, Twitter or Google+.